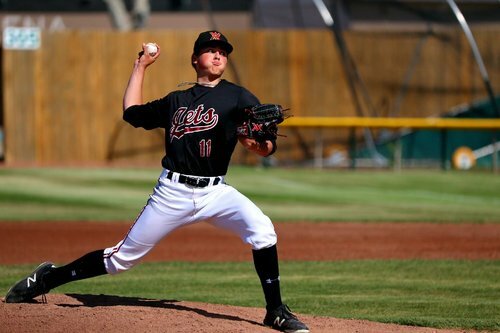 LETHBRIDGE, AB - The Lethbridge Bulls have announced the signing of RHP Chase Florendine out of the Vauxhall Academy of Baseball. With the 2019 WCBL season just around the corner, the Bulls have been focusing on forming a roster to compete for a championship, something they haven't won since 2015. The addition of Florendine proves they're looking to make some noise this year and want to be a deeper team than years previous. Hailing from Lethbridge, Alberta, Florendine has been attending the Vauxhall Academy since 2016 where he has developed into a great young arm and has been a standout throughout his years with the program. Recently committing to NCAA Divison I School, Cal State Northridge, the hard throwing righty will be a huge piece for the Bulls this season and brings them much needed pitching help, an area that needed an improvement. With a fastball that touches 90+ MPH, his lethal arm will be one to watch for. The Bulls kick off their season on May 25th when they visit Edmonton to take on the Prospects for two games, before heading home for the VisitLethbridge.com Home Opener on May 30th.